DGL, along with ODOT celebrated the official ground breaking ceremony for the State Route 25 Diverging Diamond Interchange! 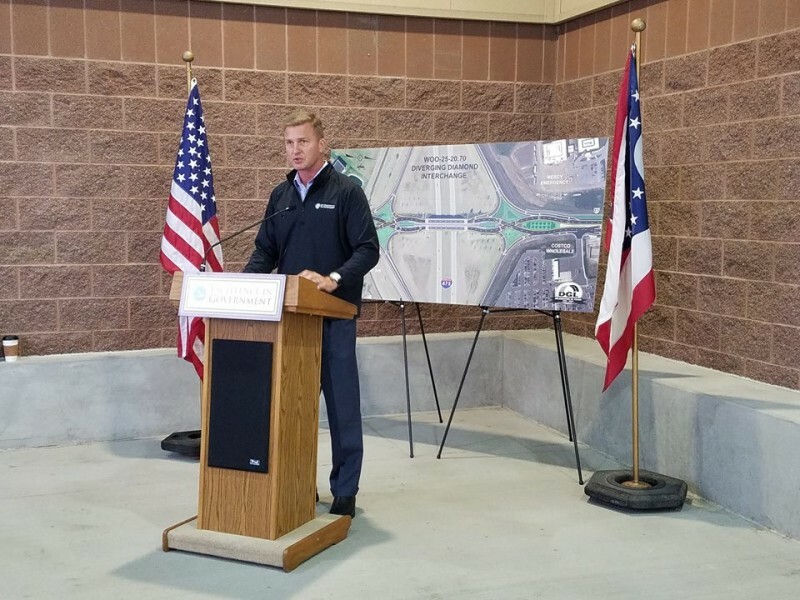 "The design will allow twice as much traffic to pass through the ramp intersections without widening the bridge or adding lanes to Route 25," Todd Audet, ODOT’s district deputy director in Bowling Green, said during the news conference today to announce the project. Studies have shown that a DDI reduces crashes between 19% and 46%. Other benefits from a DDI include a reduction in signal delays and shorter pedestrian crossings. Good news for drivers regarding this specific project is that crews are restricted to NIGHTTIME LANE RESTRICTIONS ONLY!